Here in MetroVancouver, we currently have a variable rate structure in the form of “Zones”. 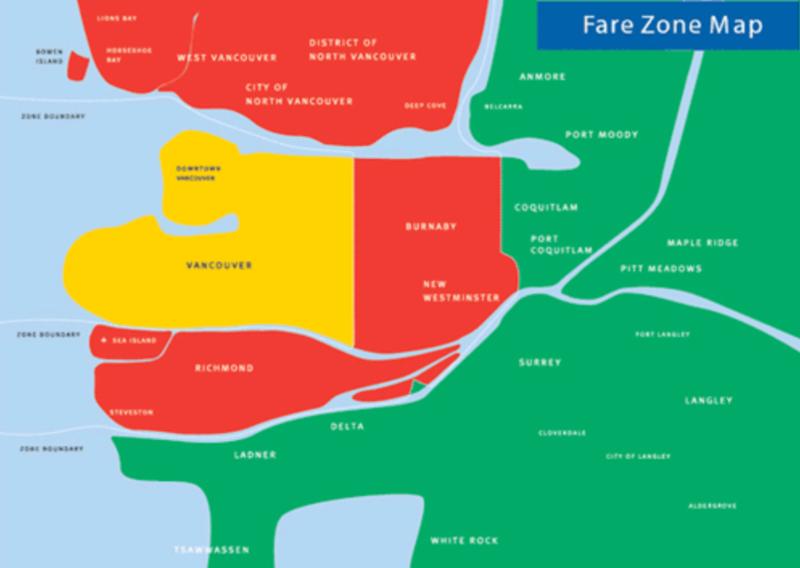 Living in North Vancouver, we are part of Zone 2, which means that if you want to ride the SeaBus downtown you will pay $4.00 each way (adult fare before 6:30 pm weekdays). To confuse things, if you want to ride the bus from Blueridge to downtown (say on the #214, which offers 5 morning downtown trips between 7:13 am and 8:31 am) you will only pay $2.75 (since the introduction of the Compass card, all bus trips now count as 1 Zone). Are transit fares unfair? Translink thinks that it is time for a review. If you would like to make your voice heard, fill in the Translink Fare Survey before the end of June.